Bonnyrigg Rose returned to league business and winning ways last Saturday, with a 4-0 win over Eyemouth United. Following their Scottish Cup exit to Deveronvale and the departure of manager David White the week before, Jonathan Stewart was in temporary charge as the Rose strolled home to all three points against the basement boys to go to top in Conference B. 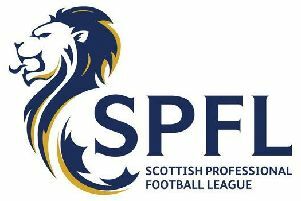 The victory moved them ahead of Dundonald Bluebell on goal difference with the Rose also having a game in hand on their Fife rivals. It took some time before Bonnyrigg broke the deadlock, but the opener arrived on 38 minutes when Adam Nelson squeezed a shot in from eight yards. In the very first minute of the second half, it was 2-0 to the Rose as a clever back heel from Kieran McGachie created the chance for Keith Lough to finish off, curling an effort round the keeper again to his left side. Five minutes later, a Lee Currie free kick hit the Eyemouth upright, but in 65 minutes it was 3-0 to the Rose following more good build-up play from Dean Hoskins and Ewan Moyes, with McGachie adding the finishing touch. With Bonnyrigg coasting, it was a question of how many, but woodwork again denied Currie. However, finally, he was rewarded for his efforts with Bonnyrigg’s fourth goal of the match to put the seal on a convincing win. The Rose host Tynecastle in the East of Scotland League on Saturday where they will be hoping to build on this performance. Bonnyrigg: Andrews, Brown, Martynuik, K.Young, Moyes, Hoskins, Gray, Currie, McGachie, Nelson, Lough. Subs: Horne, Stewart Wilson, keeper B.Young.